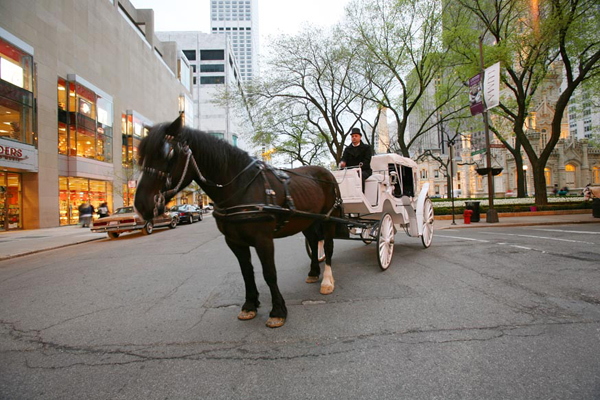 Every girl I know wants to be taken on those carriage rides in Chicago, up and down Michigan Avenue. You know… those slow horses that cause you to miss the light that are filled with tourists and 18 year olds on prom night? Well… thats what she wants to do tonight. I Promise. Rates start at $40 a half hour (may be negotiable, but don’t haggle in front of your lady). It doesnt’ matter if it is a Monday night or a Friday night, surprise her and take her out on the town. After the carriage ride, take a stroll down Michigan Avenue, keep her on the east side of the street if you don’t want her wandering into Tiffanys, but wouldn’t mind wandering into La Perla. 😉 Finish the night with hot chocolate at Ghirardelli Chocolate on 830 N. Michigan.